One round of battle is in the books with many more fights to come. And as some of you might expect, there were very few surprises. 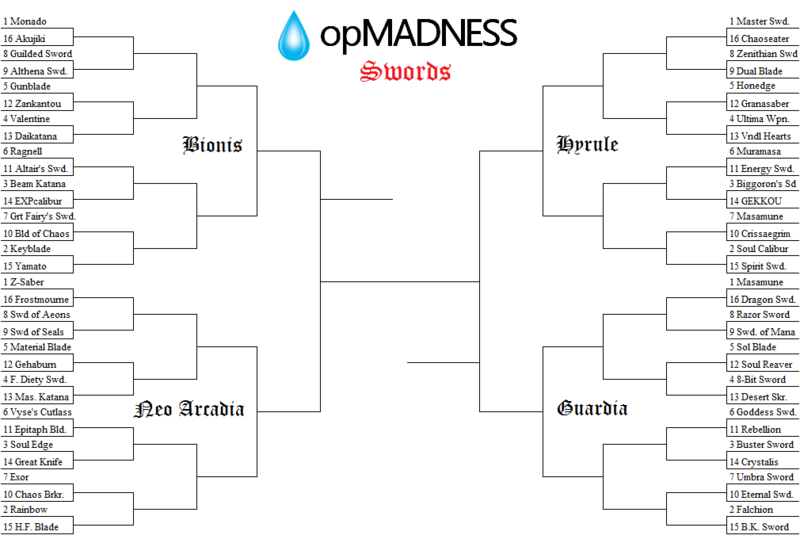 All 10 swords from our top 10 from in 2013 made it into the second round, as did nearly all the top seeds. So, without further ado, we move onto the second round. The God-slaying top seed made easy work of Akujiki. But now the road becomes tougher for the Monado as it faces it’s first test from the Zelda series with Majora’s Mask’s Guilded Sword. It’s hybrid versus hybrid as the half-sword, half sword Gunblade takes on the half-sword, half-whip Valentine. I’d love to see both continue but only one may remain. Speaking of tough calls, one sword from our top 10 will be out in this next match. It’s the Beam Katana from No More Heroes versus Ragnell from Fire Emblem. Zelda collides with another big name in this tournament as the Great Fairy’s Sword faces the amazing Keyblade. The legendary Master Sword had just as resounding a victory as its chief rival. And it looks to keep that momentum in the second round against the Dual Blade from Lufia. 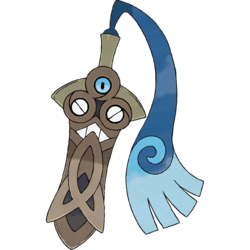 The Pokemon Honedge did well in its first match. But now it must face one of the big boys in the Ultima Weapon, one of our top 10 swords. Muramasa did well against Halo’s Energy Sword. But now, this series of swords must find a way past the Zelda juggernaut as it faces Biggoron’s Sword. 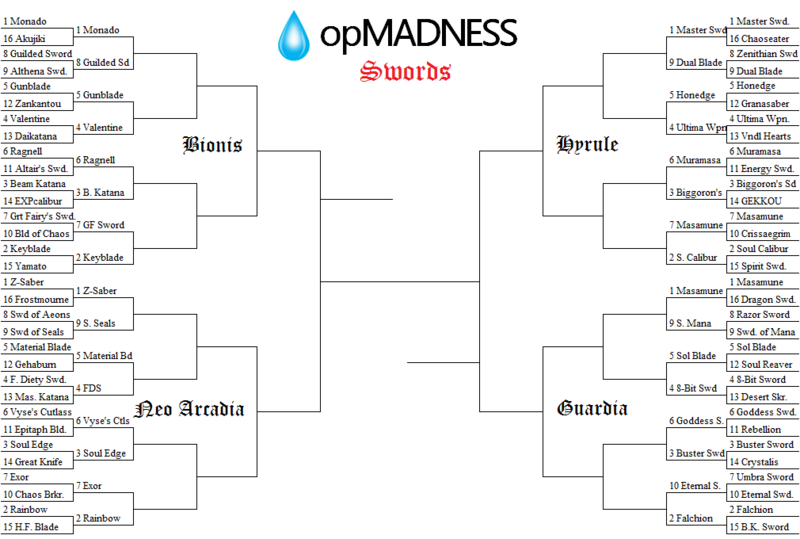 A clash of two classic titans rounds out the Hyrule Bracket as the Soul Calibur takes on Sephiroth’s blade, Masamune. It may have had the smallest percentage of the top 4 swords but Chrono Trigger’s Masamune still won convincingly without breaking a sweat. But for it to continue, it will need to defeat another one of our top 10 swords, the Sword of Mana. Next, it’s the battle between a sword from a beloved niche title and a throwback to a beloved classic: Sol Blade versus 8-Bit Sword. The Goddess Sword looked like it was on the ropes for a bit before taking out Dante’s Rebellion. Now it must muster the strength to defeat a giant in the Buster Sword. Both Eternal Sword and Falchion had large margins of victory. But both will now have a mountain to scale in order to make the Sharp 16. The sword of Zero made easy work of the powerful Warcraft blade. But it now faces a major test facing Roy’s quintessential blade, the Sword of Seals. 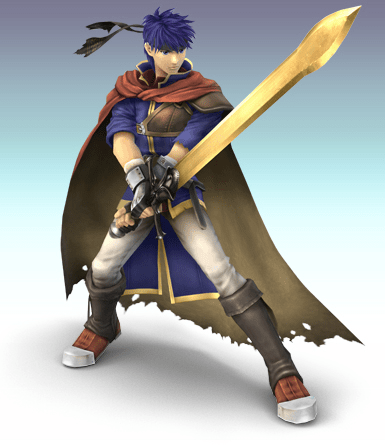 The Fierce Deity Sword was one of our top swords in 2013. But it might have trouble staying in against one of the Tales of Symphonia swords, the Material Blade. Skies of Arcadia lives on as Vyse’s Cutlass survives for a second round. 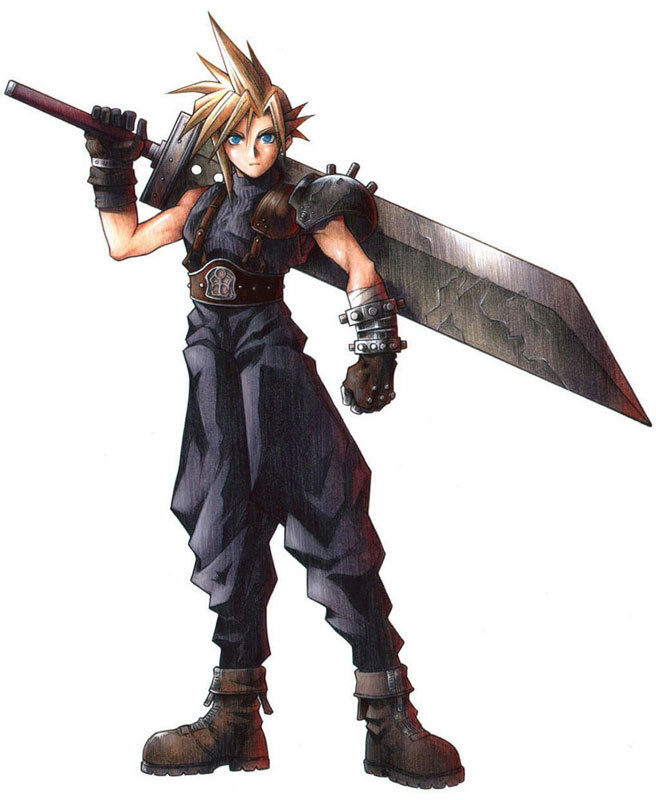 But it must now take down the classic sword, Soul Edge. And we finish off with two swords from SNES RPGs. In one corner, we have the Chrono Trigger sword Rainbow Sword. 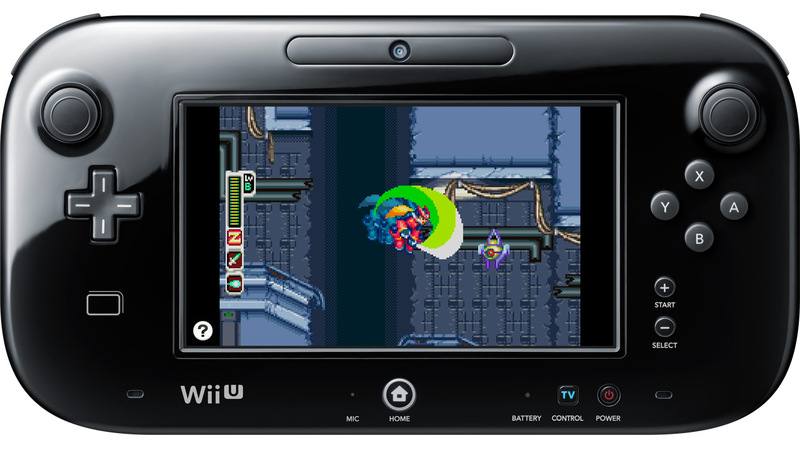 In the other, from Super Mario RPG, Exor. Have fun with this one guys. Because from here on out, it’s going to be difficult. And I promise that the next round will come around quicker.